One of the problems I have with ShareBuilder, also one of the reasons I decided to leave ShareBuilder, is its lack of flexibility when it comes to choosing when to invest and how to invest. For instance, at the time when I joined the program, I could only select to invest on the first Tuesday of the month from my basic plan (one that without subscription fee) and the longest interval between two consecutive investments is one month. No doubt ShareBuilder brought in a fresh concept in helping investors build their portfolios with small, but regular, amounts at relatively low costs. However, offering bi-weekly or even weekly automatic investment plan while charging $4 commission for each transaction just doesn’t make sense to me. If I only have $50 each month to invest, I’d rather wait four months when I have $200 and invest it in a “lump sum” and pay $4 fee than losing more than 8% immediately every month. Though it can be done manually to slow the investment frequency, such method loses the “automatic” feature of the system as I have to remember to fund the account myself. Accumulate funds in your Money Market and Invest Automatically. Now you can pre-schedule to invest a specific dollar amount once you’ve built up enough cash in your ShareBuilder money market account – automatically. For instance, you can set your automatic investing plan to deposit $25 into your ShareBuilder account as frequently as you’d like (i.e. weekly, monthly, etc.) and after you’ve saved $100, $200 or $500 you can have your plan automatically invest that amount into the stocks of your choice. With this improved automatic investment scheme, you can reduce the cost of each transaction by setting a higher target investment amount. For example, you can still save $50 a month, but only invest the money once you reach $200. That will reduce the cost to a little over 2% instead of 8% in the previous example. During the accumulation stage, your money will be in ShareBuilder’s money market account which currently pays a 4.47% 7-day yield. In addition, investors now also have more choices on the investment date. Being added are the 1st and 15th of the month. I feel these new improvements will give investors more control on how to invest their money and help bringing down the costs. Actually, if they announced the change last month, I mighty have a second thought on moving to Zecco. Too bad! Fees are a killer for smaller portfolios, but I’m surprised you use these services with your large lump sum of cash especially when you buy individual stocks. The brokerages that charge you a higher fee has one distinct advantage which is being able to get priority on their stock orders. This means that in a marker order, you might get a better priced, or in a limit order, it will be filled faster. It seems to me from your articles that you trade in pretty large chunks of cash, and even a $0.01 difference is way more than the $10 or so that you would have to pay in commissions so you might want to look into that. Btw, this is the primary reason why I still stay with etrade, even though I have buy stocks with less money than you so my commission percentage would be higher. 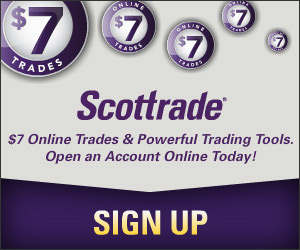 Yes, I usually buy stocks with a relative large lump sum and they are purchased in real time through Scottrade, my primary broker. If I buy a couple of thousands worth of stocks, paying $7 commission isn’t really a big deal. With ShareBuilder, I only use it to buy PFM, an ETF that I treat more like a mutual fund than as a stock. So at the beginning I decided to take a gradual approach, buying a small among each time. But it’s still not cost efficient as they charge $4 for every planned trade. Hey, just realized that they are probably getting more competitive since you can setup a drip with Zecco and now SogoInvest which is also pretty cheap at 3 bucks. Just went into my account with sogoinvest which I was abandoning because of a lack of drip, when I went into the trade menu and at the bottom it mentioned “dividend reinvestment plan’ or about there, so now it makes sense that sharebuilder is adding more features and flexibility. So I’ll be keeping all 3 accounts but I’m no longer putting my money into my Sharebuilder account. For guys like me who have less than $5000 in retirement/investment assets, Sharebuilder’s bonuses are the biggest growth area of our portfolios.